If your goal is to build your family through adoption, consider adopting through foster care. Foster to Adopt is an extension of the LFSRM Foster Care program. 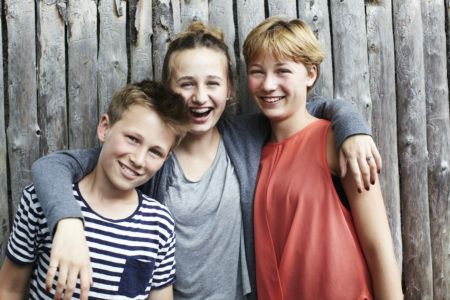 Often referred to as foster to adopt or fost adopt, you become a licensed foster parent and foster a child, or children, until you can legally adopt the children/youth you are fostering. In this program, you foster until you adopt. Permanency is the goal for all children/youth living in out-of-home care. Permanency means the children/youth return to biological relatives, emancipates from foster care, or becomes a permanent member of an adoptive family. The majority of children/youth will reunify with family, your job is to provide a safe home until reunification takes place. When reunification is not an option, the children/youth can move into an adoptive home. It can seem like a long wait until the legal process results in adoption. Our team of professionals will support you through licensure, the matching process, placement, as well as the finalized adoption. In the end, you make a difference to a child/youth in need of love, stability, and opportunity. As a temporary care home before they return to relatives/kin or you are their forever family. 1. What are the chances that a child placed in our home will be returned to the family/kin? Reunification to family/kin is the preferred permanency goal; however, there remains a need for adoptive homes. 2. What are the chances that we will receive our desired age range and gender preference? You will complete a Preference Questionnaire with the desired age range and gender preferences then we make every effort to match you with a child(ren) who fits your preferences. We will revisit your preferences and make changes based on your comfort level, experience, and requests. 3. How many visits per week is there with the biological family? Until a child is legally free for adoption and the court has determined that visits are no longer required, visitation with family/kin is based on the individual family and the court’s determination. 4. Is there money to pay for day care? Unfortunately, there is not reimbursement for day care. 5. How will school enrollment work? The county department holds a best interest determination meeting that results in the most appropriate school. 6. What kind of support will we receive during the foster to adopt process? Lutheran Family Services has a team of professionals that will support you throughout the process. You have access to a 24/7 crisis line and to your case manager. In addition, we have monthly support group meetings for foster parents, support groups for refugee minors, support groups for foster to adopt, consultation with our clinician, a Facebook support group, and in-house training. 7. What are the costs involved? Costs can range from $100 per person for background checks to $1,000 per couple that pays for the home study, the search, the match, and the transition.